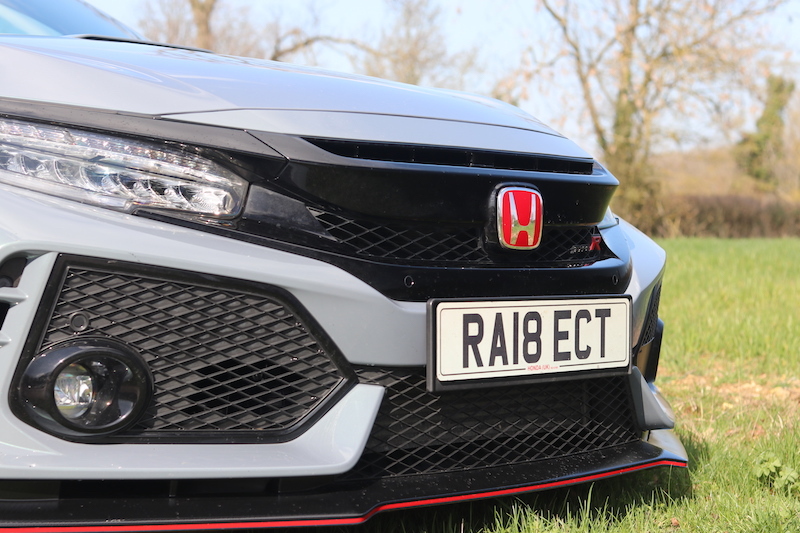 The Honda Civic Type R has been out for around two years, and despite this, I still think it’s the best hot hatch money can buy. 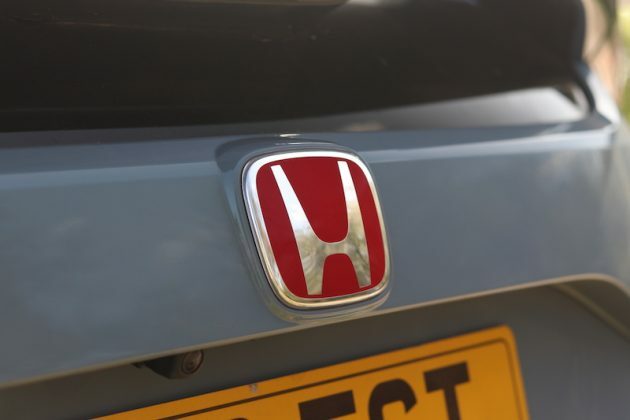 In fact, when I first drove it, I described Honda’s latest version of its fast hatchback as “Japanese Witchcraft”, a comment I still stand by. 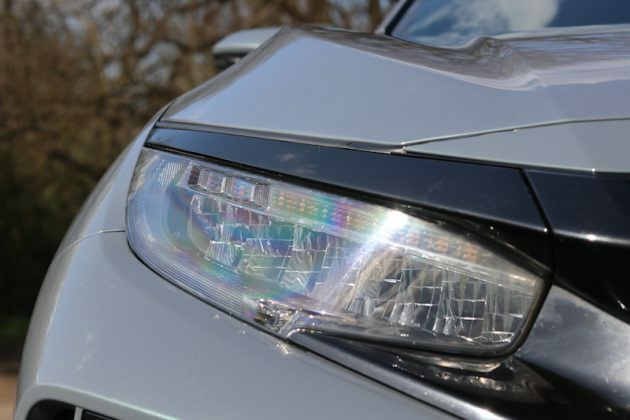 What is it that makes the FK8 so good? Well for me, it all starts on the inside. Yes, I know, the exterior is a big talking point, I’ll get on to that later. 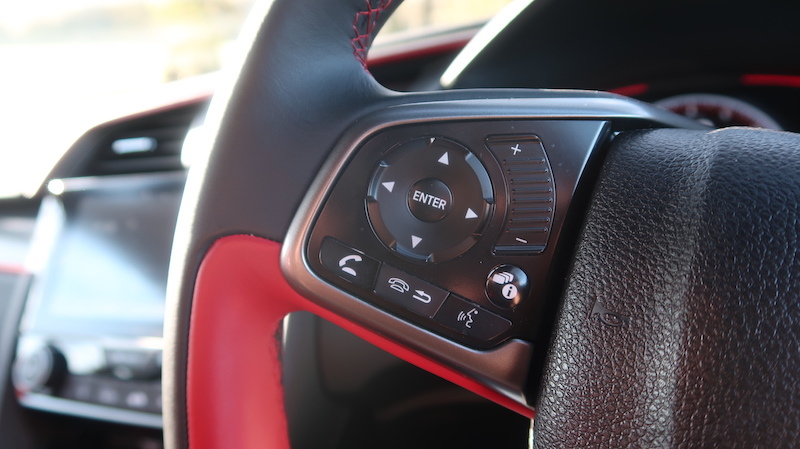 For now, I want to talk about about the interior. 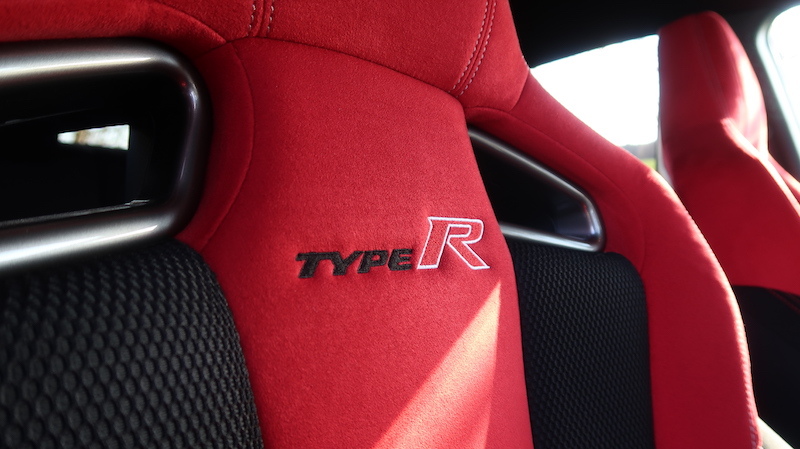 As soon as you open the door you’re greeted by loud and proud red sports seats, which may as well scream “I am a performance car!”. Drop yourself in to the driver’s seat (and I mean drop) and you’ll quickly notice how low slung the driving position is. In comparison, it makes the Ford Focus RS feel like an SUV. 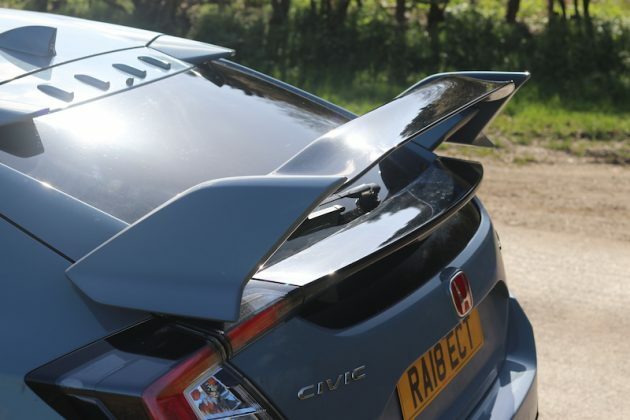 This alone should be a big enough indicator what the Civic Type R has to offer. But what exactly, is that? 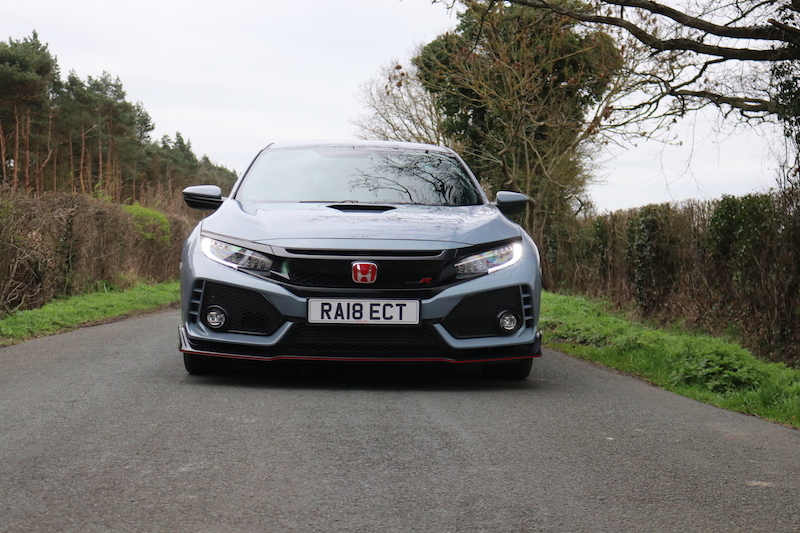 Well, thanks to a 2.0 litre, four cylinder turbocharged VTEC engine, that’s 320hp and 400Nm of torque, which is mated to the front wheels via a 6-speed manual – no flappy paddles to be found here. 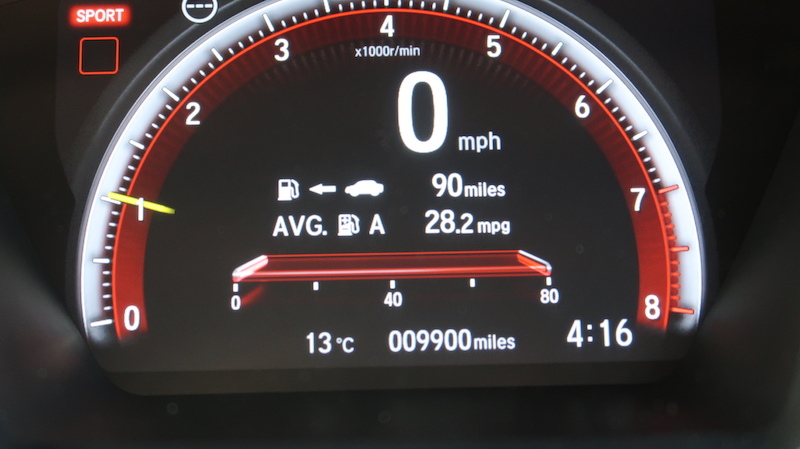 0-62 is done in just 5.8 seconds, and this top speed is 169mph, which is bonkers for a family hatchback. 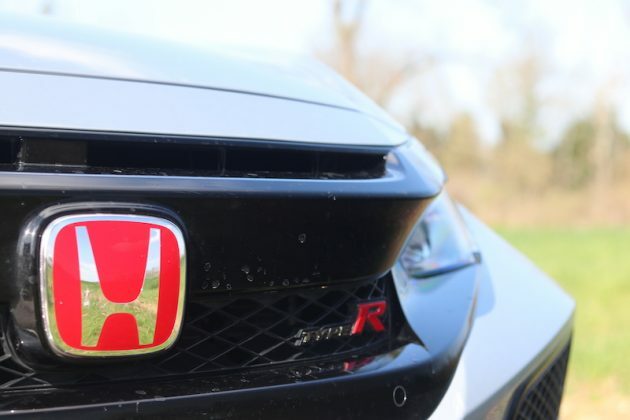 Yes, that is true, but there’s two areas where the Type R claws back a few performance points. The first of which, is weight. 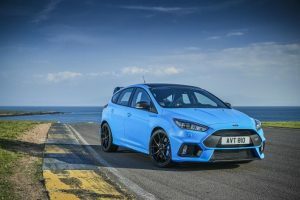 The A35 AMG weighs a respectable 1480kg, the Golf R is a bit more, at 1535kg, whilst the Focus RS has clearly had too many pies, as it weighs in at almost 1600kg. 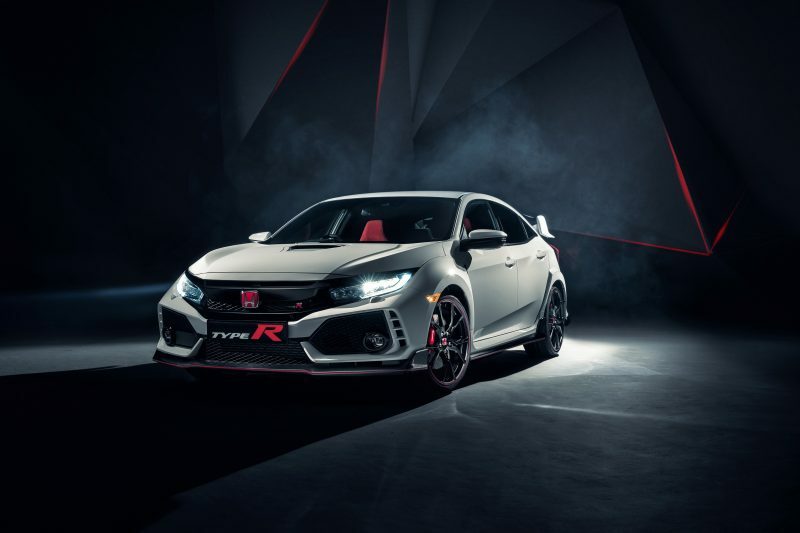 The Civic Type R, well that weighs 1,420kg, meaning it’s lighter than its rivals thanks to the omission of all wheel drive. 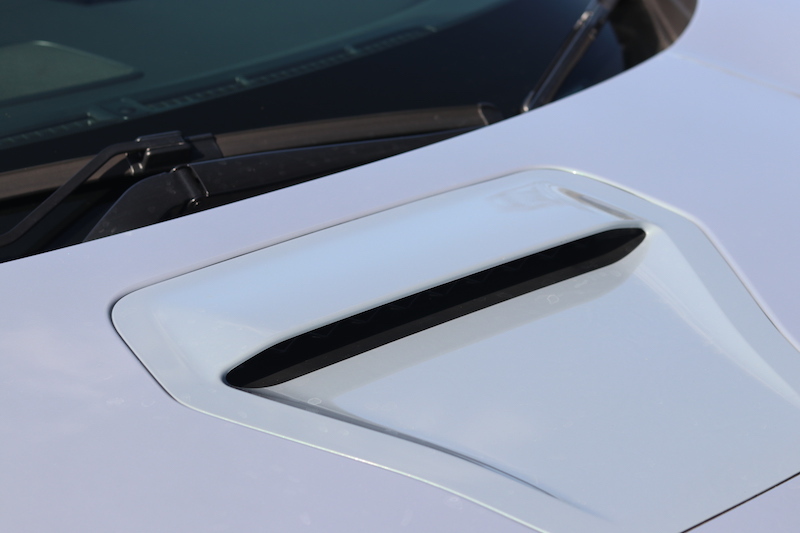 The second area is downforce. Yes, the exterior design is busier than Piccadilly Circus, but Honda is insistent that it’s all functional. 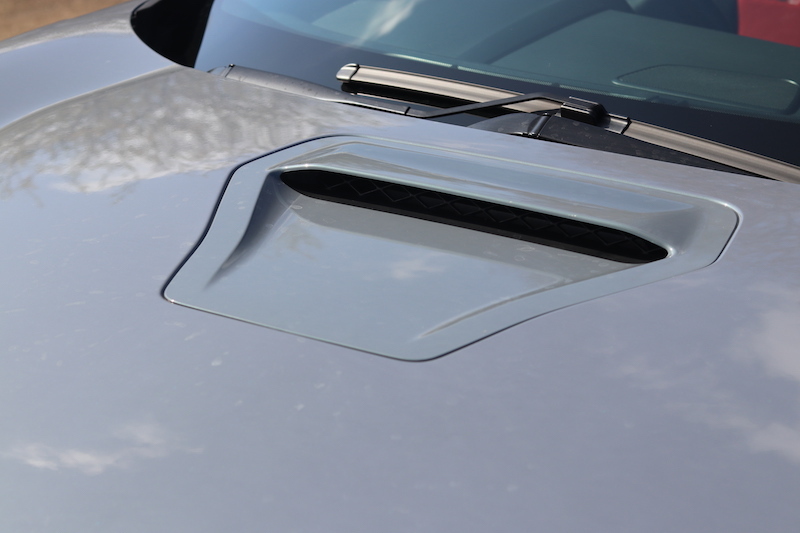 For example, at the back of the car you have vortex generators, which may sound like the product of science fiction, but their job is to channel air to the rear wing that’s so large, it’s enough to make airplanes jealous. 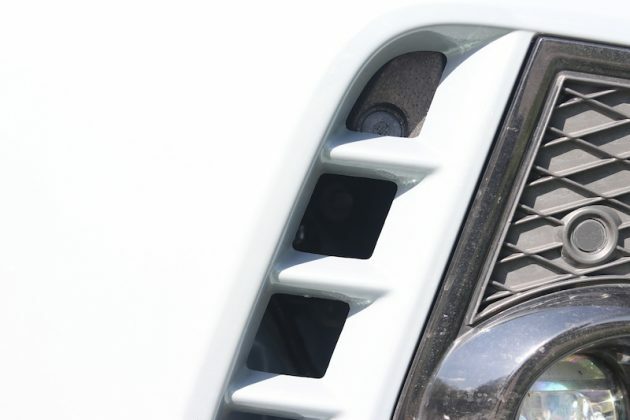 These are the so-called ‘Vortex Generators’. Yes, the car looks mental, and a bit try hard, but as a result the Type R’s body creates positive downforce, whereas other cars in this sector only produce enough downforce to negate the car’s amount of lift when the car is driven at speed. 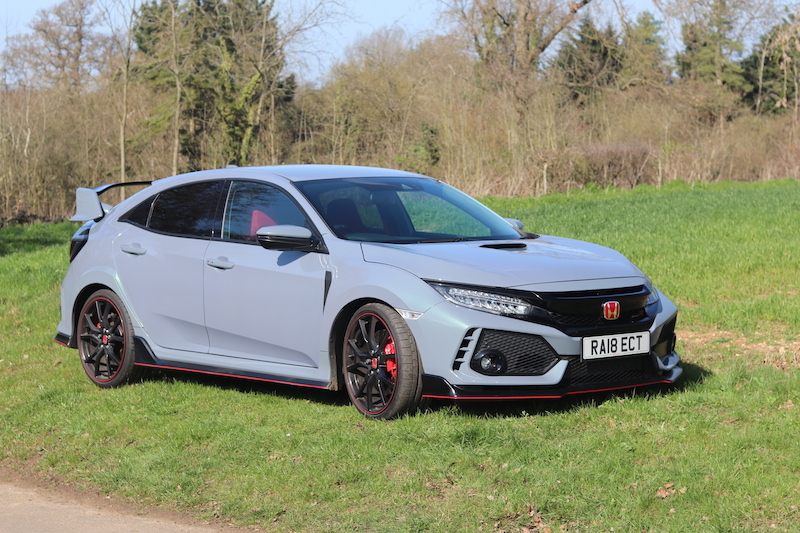 It’s little wonder that the Type R managed to get around the Nurburgring in 7 minutes 43 seconds, which at the time of this review, is the fastest front wheel drive car to go around the Green Hell. 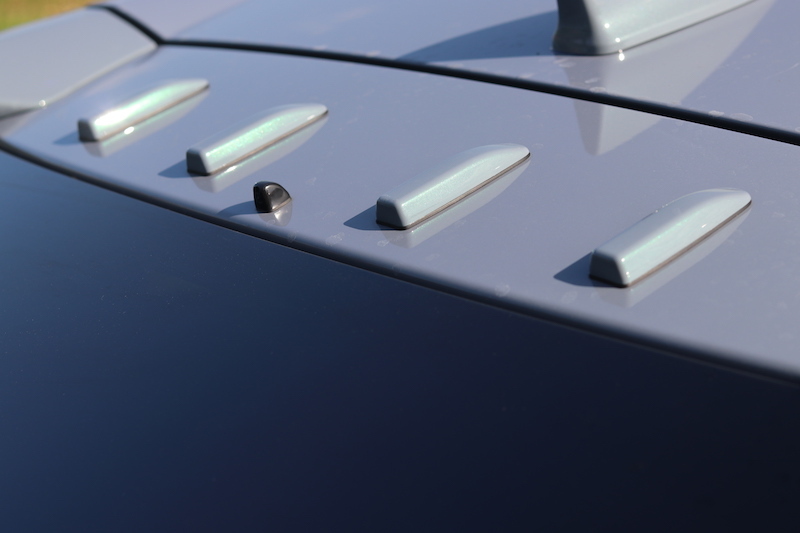 This then, it’s a touring car for the road. I tell you what, it certainly feels like one. 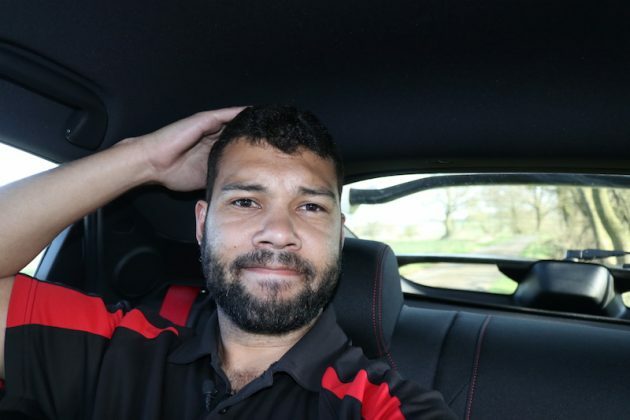 Yes, I know, it’s not the fastest car in its class to 62mph, but you quickly forget about that when you’ve put your foot down. 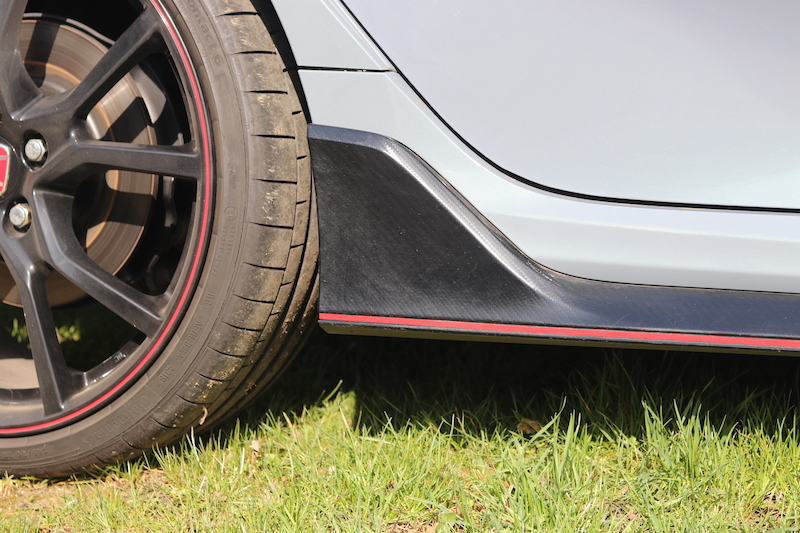 Yes, there is a smidge of turbo lag, but it’s less than its predecessor, and what I love about this car compared to the FK2 is just how usable it is. 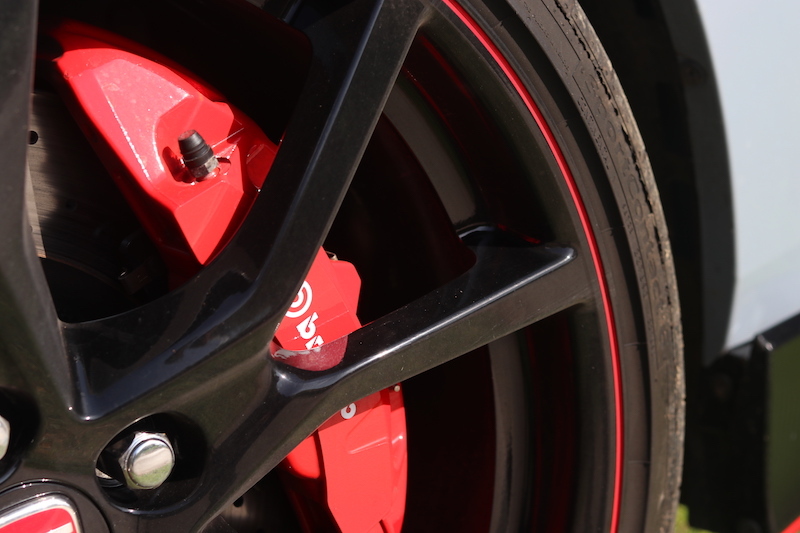 The FK2 was a boneshaker – putting in to its +R driving mode was a welcome invitation for your spine to be broken in two and for your teeth to be shaken free of their roots. 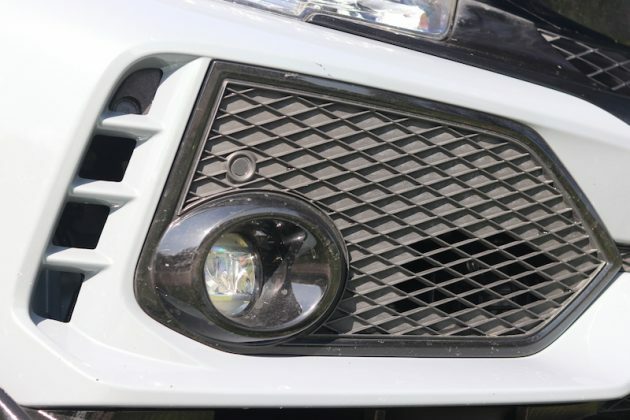 Of course, the torsion beam suspension didn’t help matters, either. 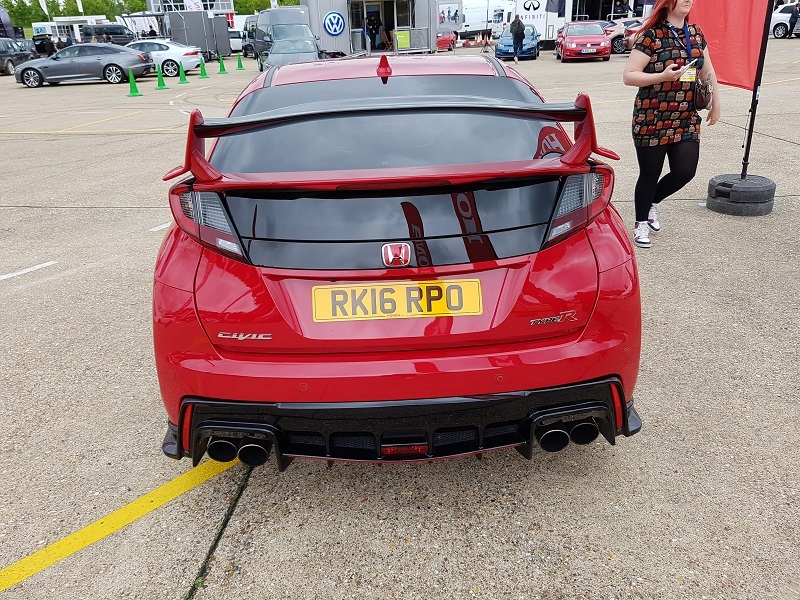 However, the new Civic Type R has gone back to having an independent rear suspension, plus there’s also a new comfort mode to make this car easier to live with. 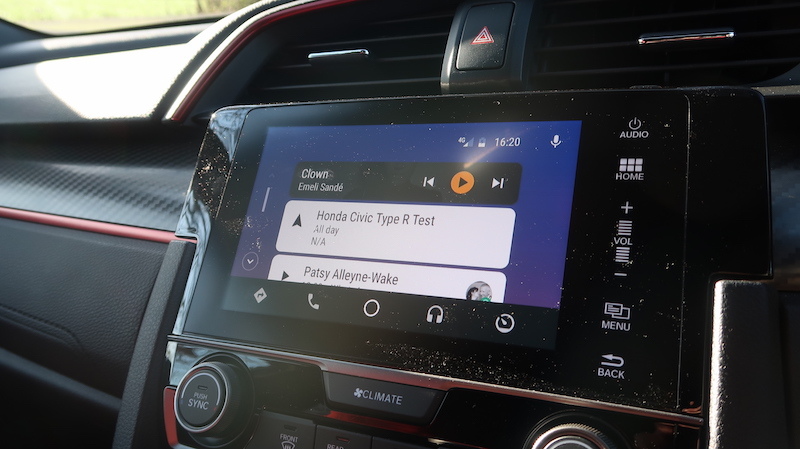 I’ll be honest, I rarely bother with that, because in the car’s default setting, Sport, it’s pretty agreeable and should be find for most to use on a daily basis. 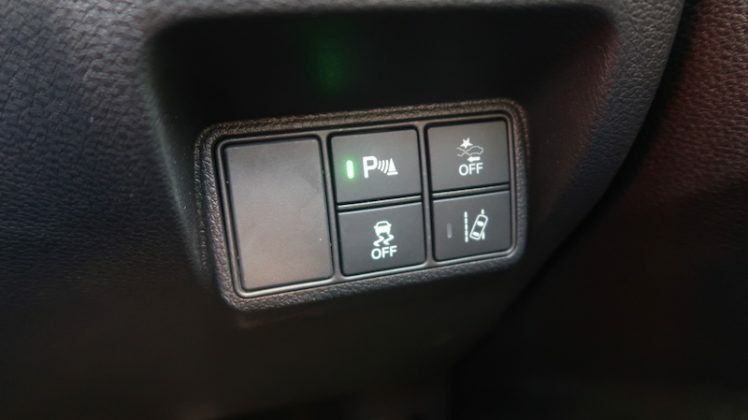 What about the +R mode? What happens when you release the beast? As you would expect, the adaptive dampers become firmer, and yes the car becomes more bumpy, but did I feel as if my spine was about to disintegrate in to dust? No I don’t. 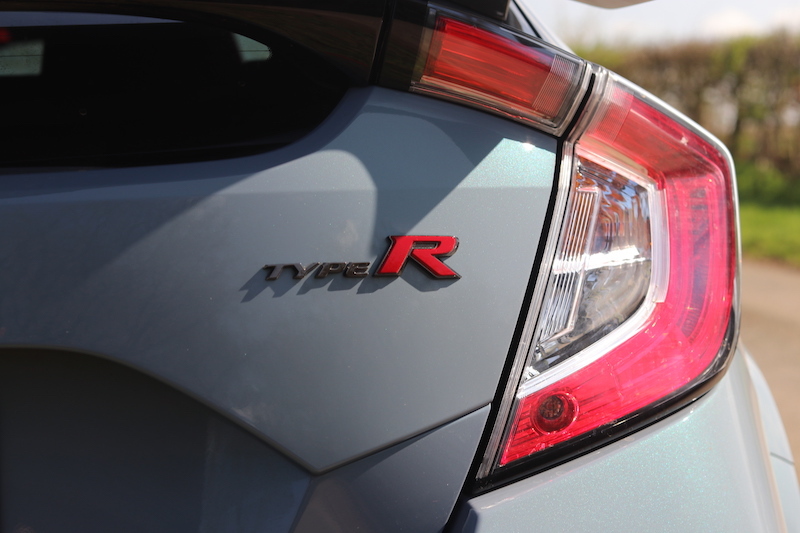 The +R mode also puts the engine at maximum attack as well as making the steering heavier. Some have stated that it’s too heavy, but maybe they just need to get to the gym more, because to me, it feels delicious. 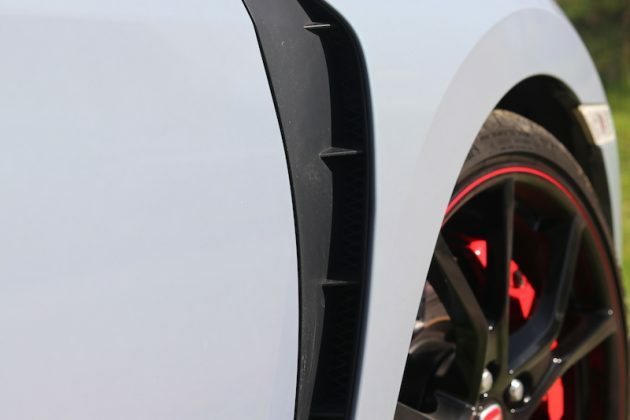 Another area of this car that is simply delectable is the way in which it tackles corners. 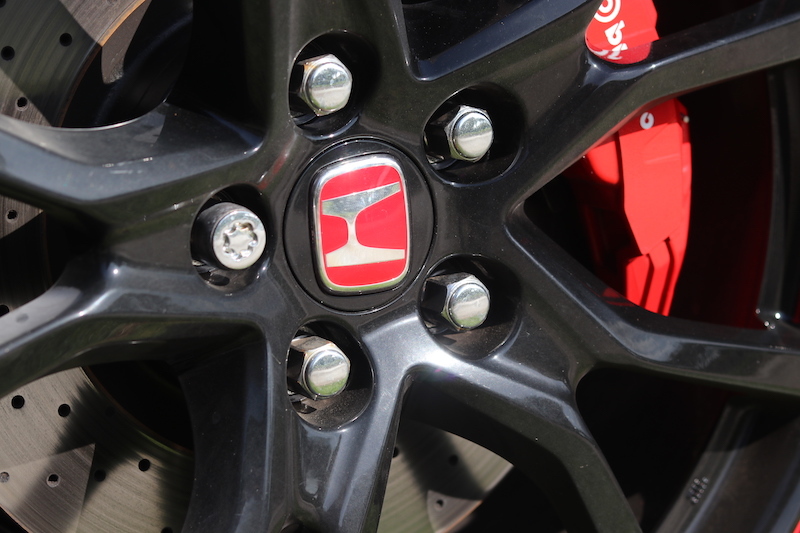 At each corner of the car there are sticky Continental SportContact 5 tyres as well as beefy Brembo brakes, and there is also a limited slip diff at the front for good measure. 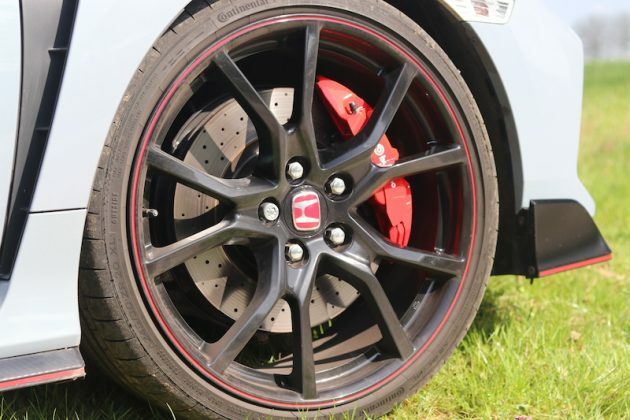 These combined allow the Type R to go through bends at speeds that seem to defy the laws of physics, I’m sure I could feel the tarmac bending underneath the alloys. The car is responsive, grippy, confidence-inspiring, it corners flat, and you can really feel that diff pulling that car tight around the corner. 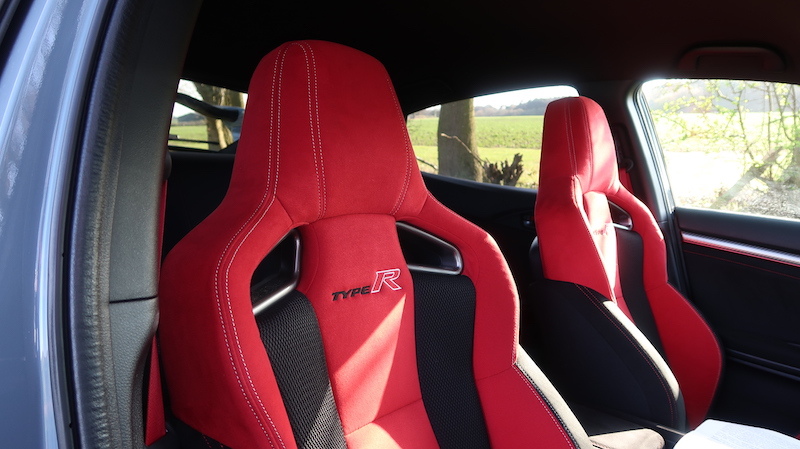 A special mention needs to go to these seats as not only are they low slung, but they have the perfect blend of the support and comfort. 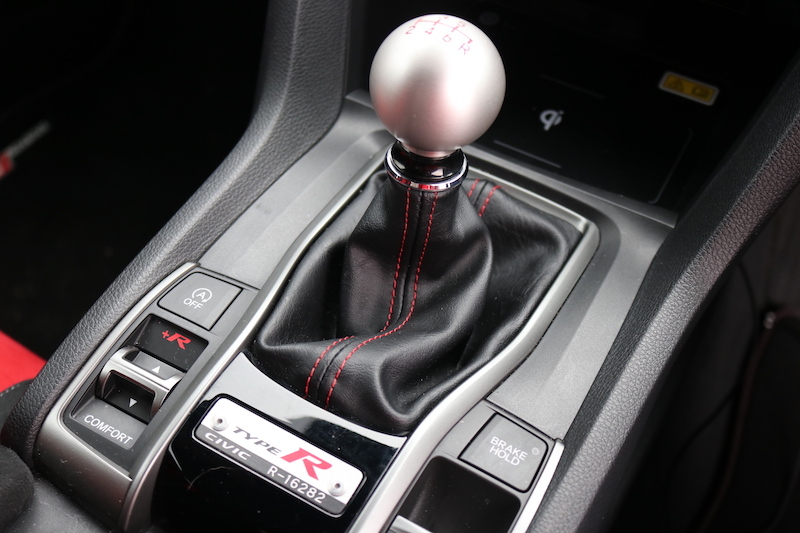 Another area that deserves a special mention is the 6-speed manual gearbox. 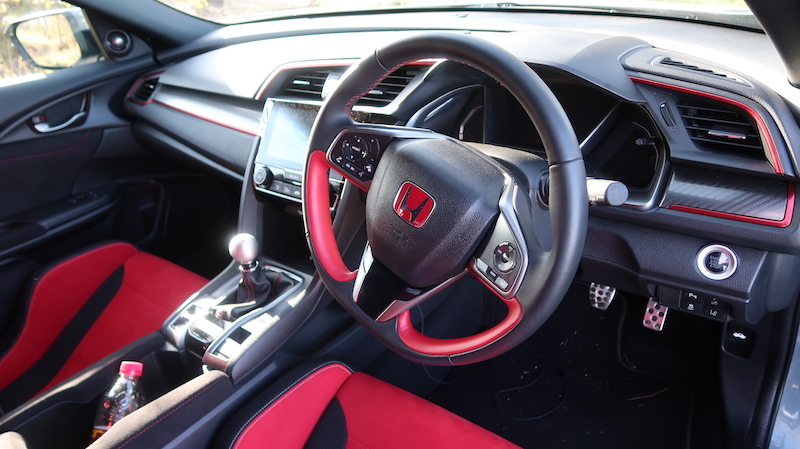 I’m so glad that Honda has stuck to the old-school method by not opting for a dual clutch automatic. 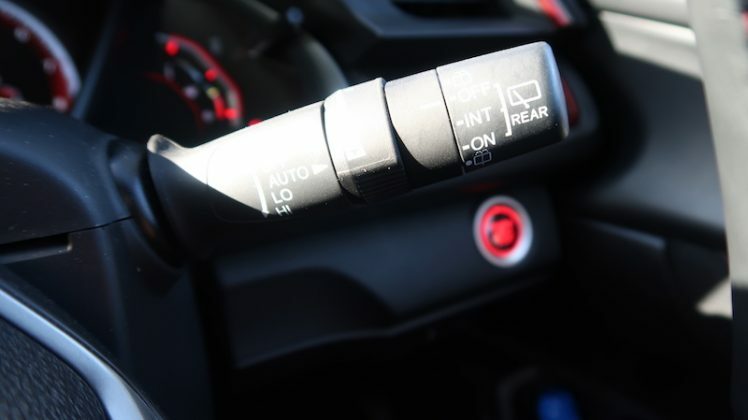 The manual has a short, mechanical throw that is among the best in the business, and you’ll likely to find excuses to change gear, just for the sheer thrill of it. 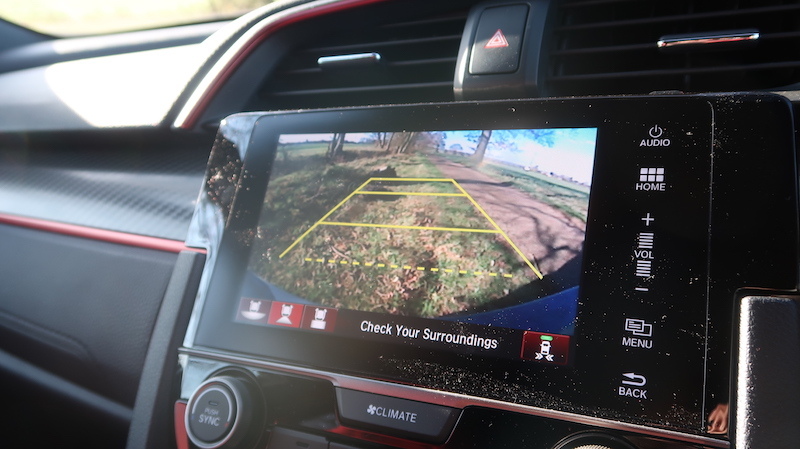 Better still, there’s a rev matching function in the +R mode, so you can feel like a racing driver when you attach a B-road, although the feature can be turned off if you prefer to do it yourself, which to be honest I do. 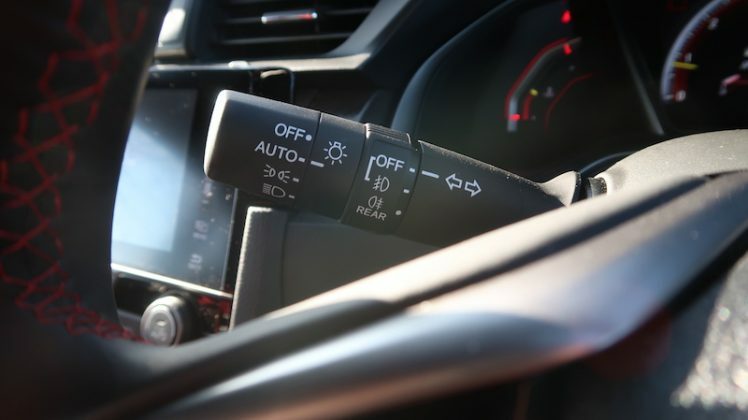 One thing you can’t do though, is to cherry-pick what settings you want to have, as there is no individual driving mode. 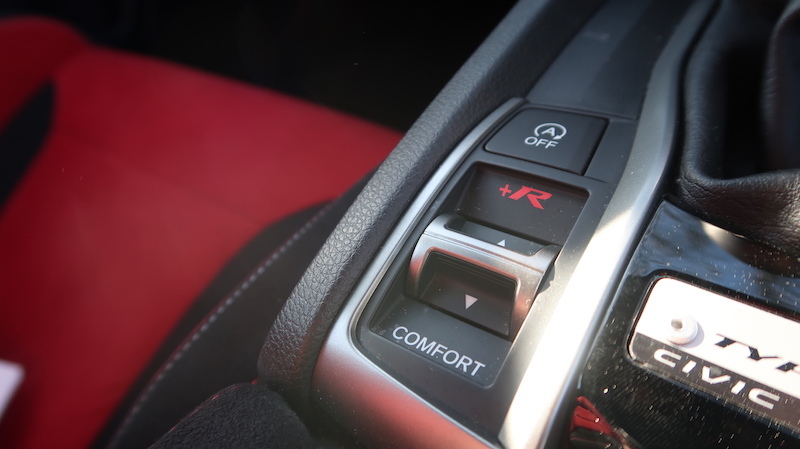 Let’s say for example you want to have the engine in +R mode, the dampers in Sport mode and the steering in Comfort mode. Well, I’m afraid you can’t, which may put some of you off. 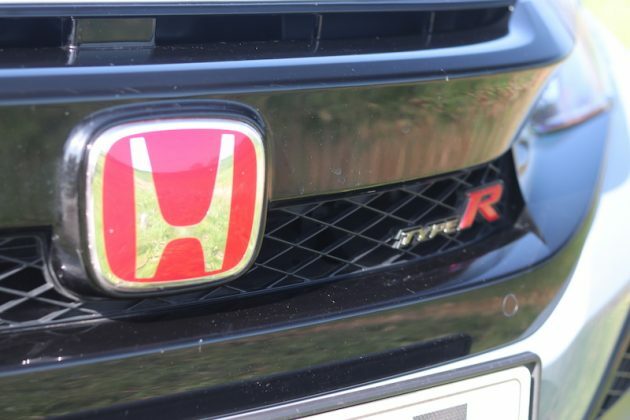 Hopefully Honda will include this when the Type R comes to being updated. 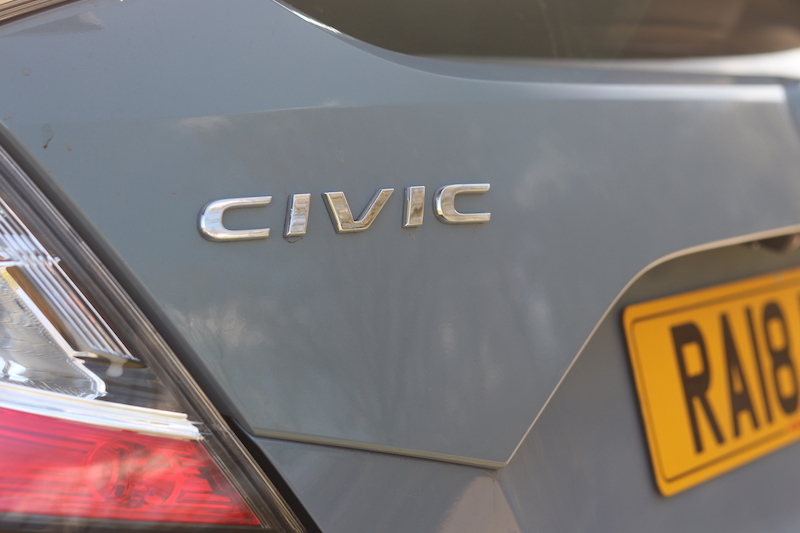 Should this put you off buying the car? No, because you’ll be having too much to care. Surely, there must be some bad things? At this point, you may think I have nothing bad to say about the car, and that I’ve been paid off by Honda. So let me put the brakes on proceedings and walk you through what isn’t so fantastic about the Honda Civic Type R.
Let me start with the infotainment system. 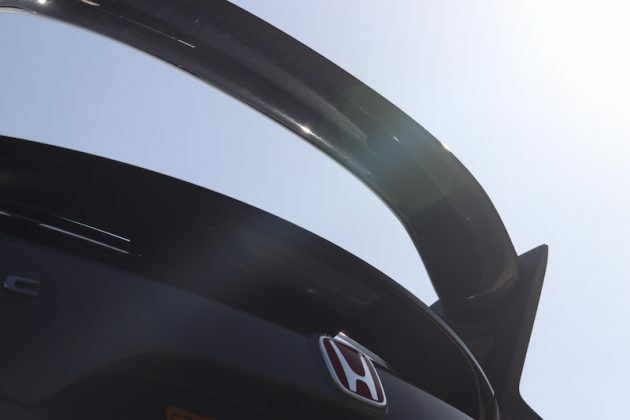 I’m sorry Honda, but it’s s***. 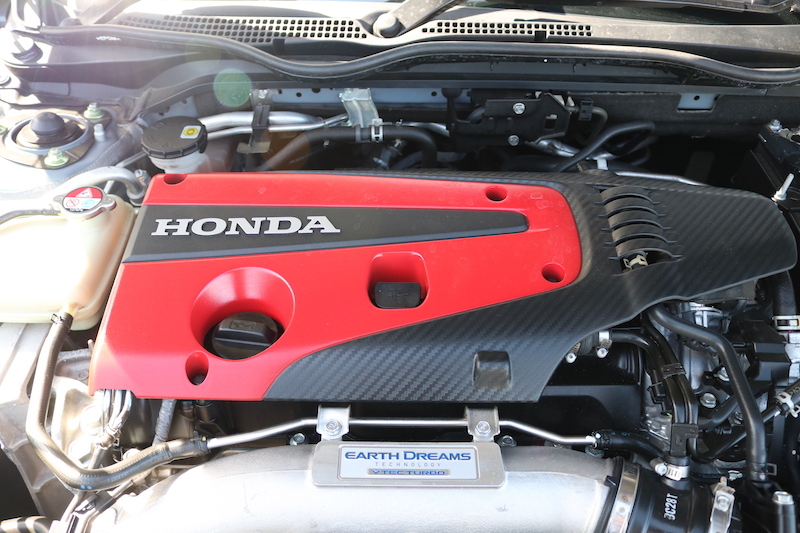 I’ve moaned about this system a few times in other Hondas, so I don’t want to sound like a broken record. 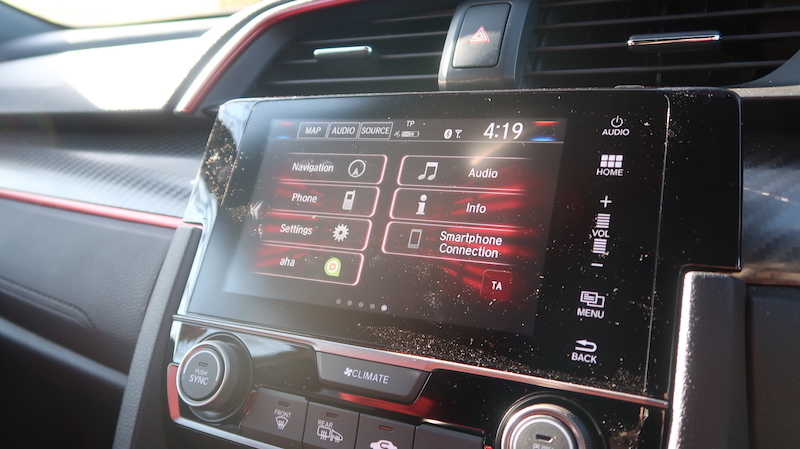 On the plus side, you can bypass all the nonsense by using either Android Auto or Apple CarPlay – thank God for that! 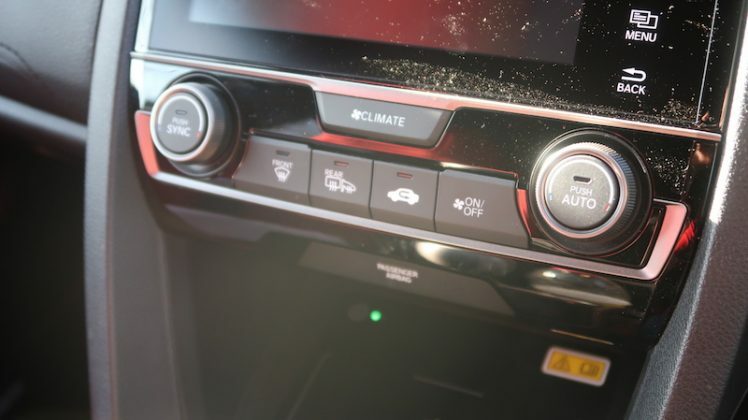 The buttons on the steering feel a bit cheap and nasty, which is fine if this were a Honda Jazz, but this is a performance car priced at over £33,000, so this is taking the mickey a little bit. This car looks like it will seat five, and the rear seats look like they could seat three. 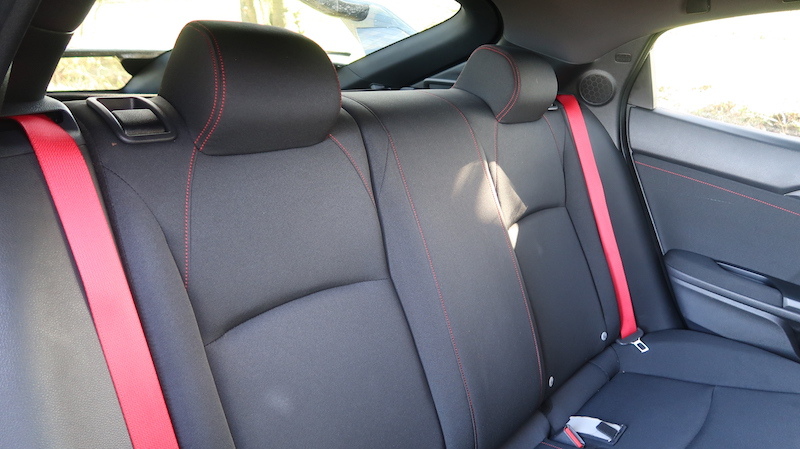 However, there is no seatbelt for the middle passenger, therefore this car is a four-seater. Granted, there’s a good chance the middle seat won’t get used a lot, however, I find it a little grating that you don’t have the choice to seat three back here. 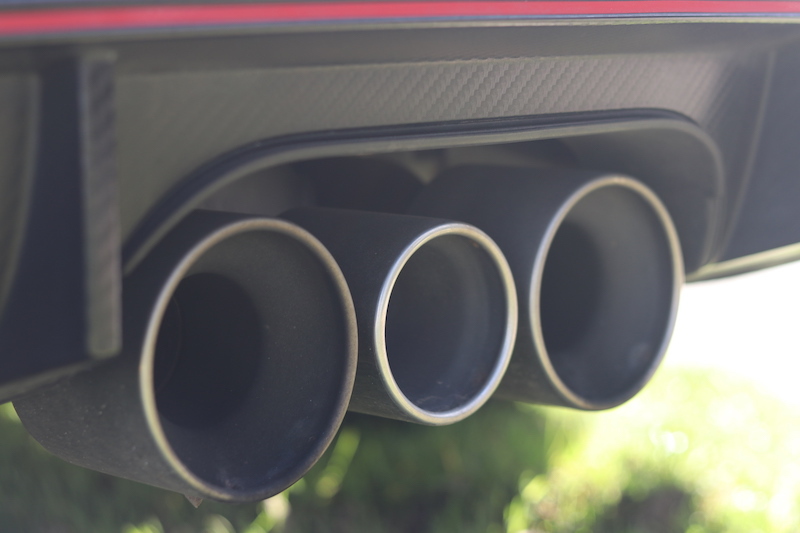 The exhaust note. It’s a bit, well, pants. 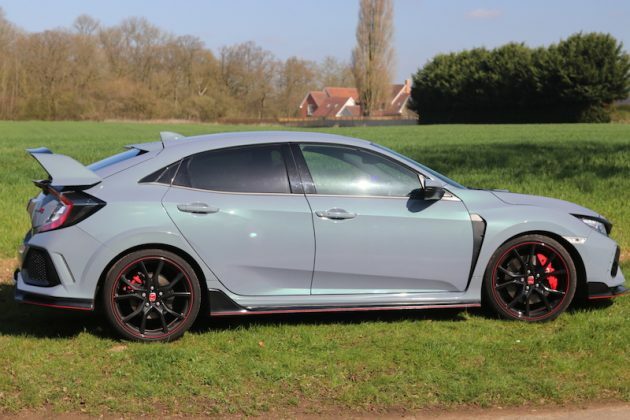 It’s not the worst in the world, but compared to the likes of the Hyundai I30N and the Ford Focus RS, it sounds as inspirational as a Brexit speech delivered by Theresa May. 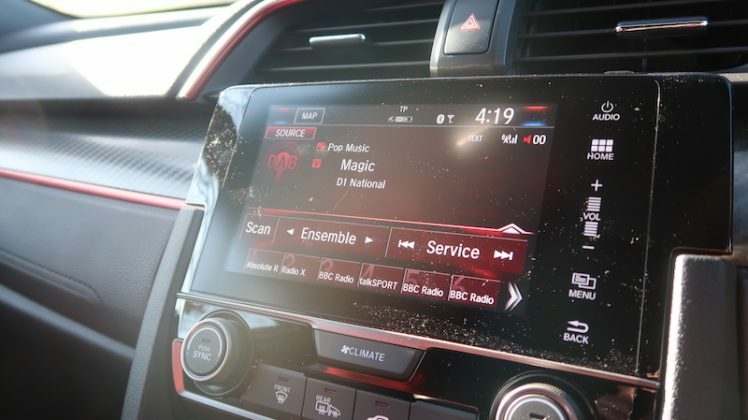 The noise isn’t that much better inside the car, I’m afraid, as it’s rather muffled. 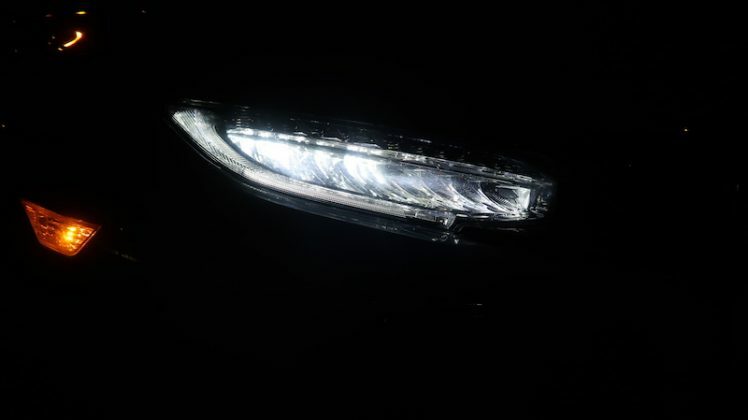 Those issues aside, let’s not much else I can really fault about this car. This a hatchback after all. 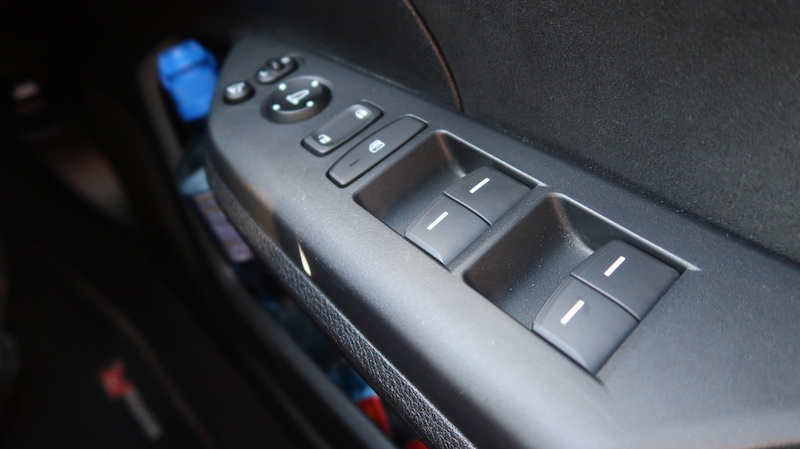 There’s a good amount of cubbyholes in here, although you only get one cupholder in the middle, which may annoy some. 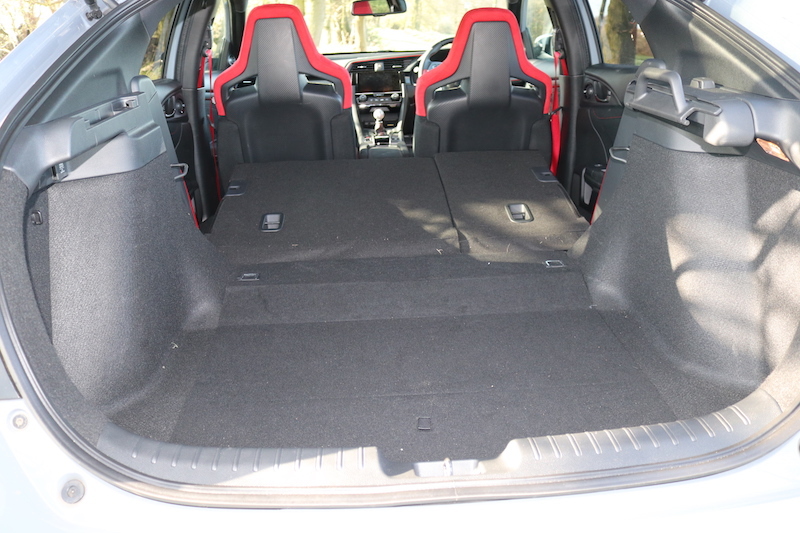 Getting a good driving position is easy though, as there is plenty of adjustment, and as I mentioned earlier, the seating position is nice and low, perfect for a car like this. 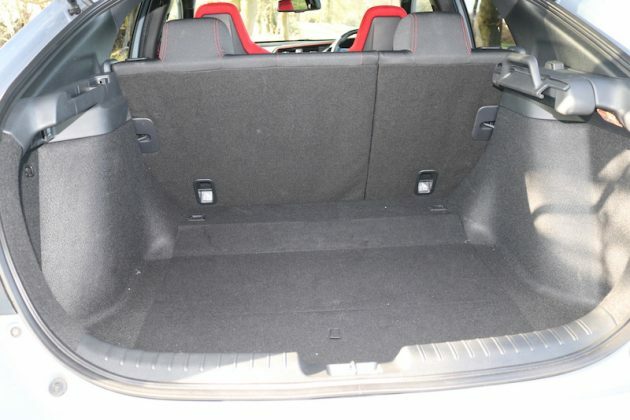 In the rear of the car it’s a mixed bag as the headroom is tight for taller passengers thanks to the raking roofline, but legroom isn’t too bad, although knee room may be tight for some. On the plus side, the two occupants will have to spread out thanks to the omission of the middle seat. 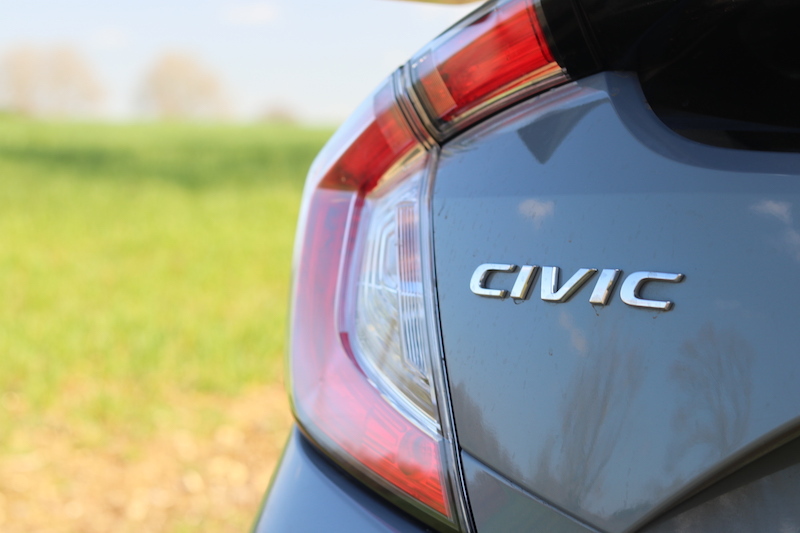 The boot is an area where the Civic does well though, as it offers a very impressive 420 litres worth of space, which is more than some small SUVs. Ok, so there is quite a high loading lip, but the size of the boot should make up for it. If more space is required then you can of course fold down the rear seats to offer a total of 786 litres. 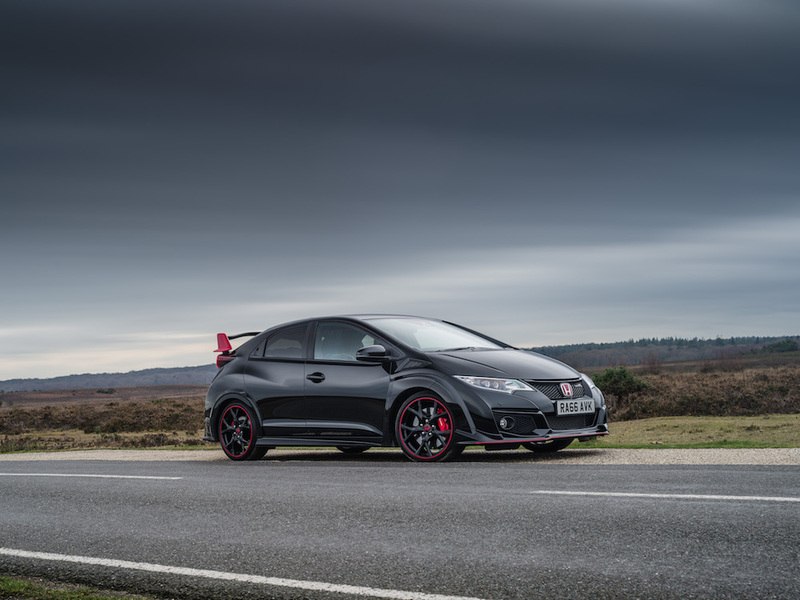 Talking of the practical stuff, what does the Type R cost? At this point you may be wondering what this slab of Japanese magnificence will cost you, so let me give you a run down of prices. There are two trim levels available; Type R and Type R GT. I’ve got the the latter, but I’ll get on to that in due course. 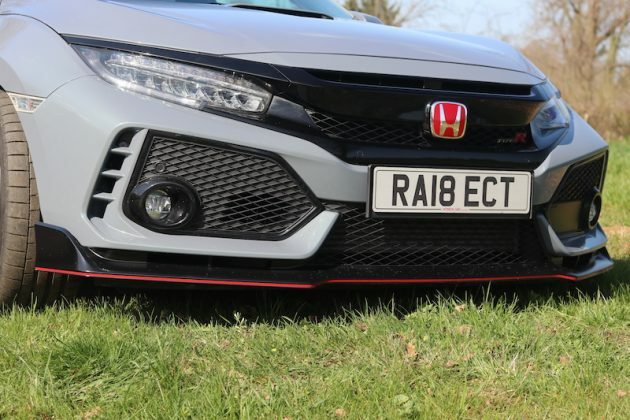 The Type R starts from £31,525, offering features such as 20″ alloys, LED headlights, automatic lights and wipers, 7″ Honda Connect infotainment system, DAB radio, Bluetooth, smartphone connectivity, reversing camera, and a good host of safety systems as well. ...the whole system can be bypassed altogether thanks to Android Auto or Apple Carplay. Pay two grand more, and you’ll get the GT version, which adds red piping to the exterior trim, keyless entry, front and rear parking sensors, Garmin navigation, wireless phone charging, blind spot monitoring with rear cross traffic alert, and dual zone climate control. 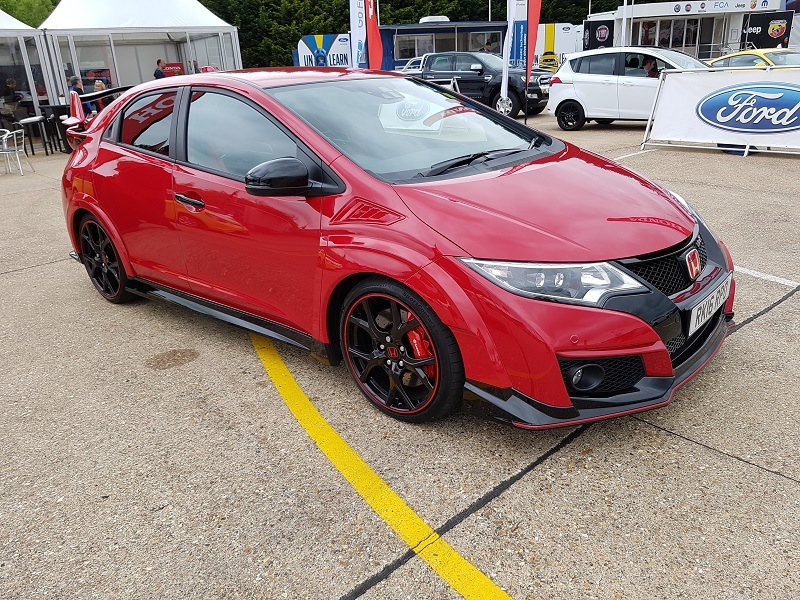 Ok, so it’s not the cheapest hot hatch you can buy, but I think it’s good value considering the performance and equipment you’re getting for your money. 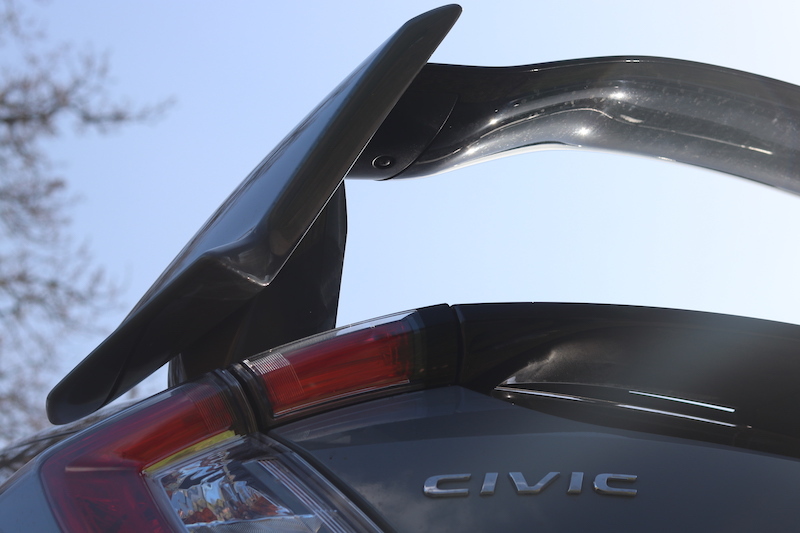 Just quickly, I want to talk about fuel economy. 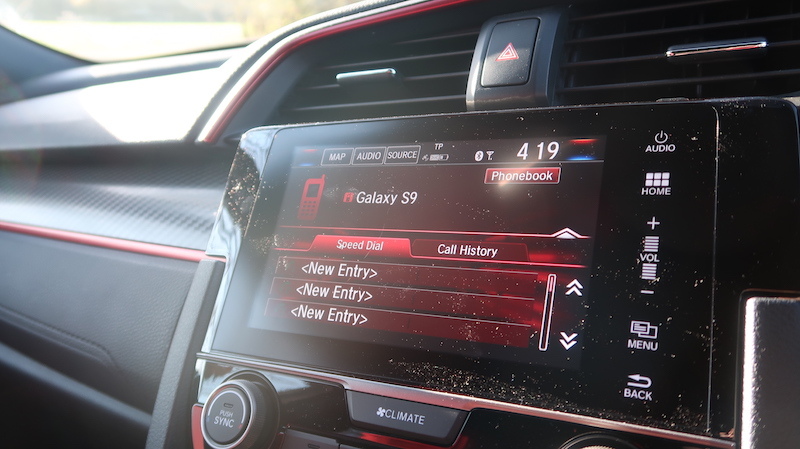 Yes, I know, it’s not overly important in a car like this, but some of you may be interested. 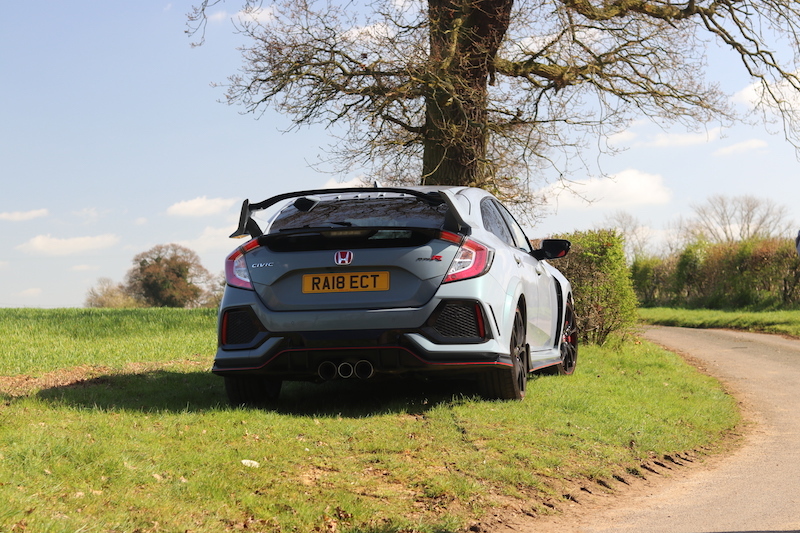 On a combined run, Honda states that the Civic Type R can offer up to 33.2mpg and in my experience I’ve been getting around 30, but I could have got more if I had driven the car more carefully, but where’s the fun in that? In regard to CO2, that comes in at 178. 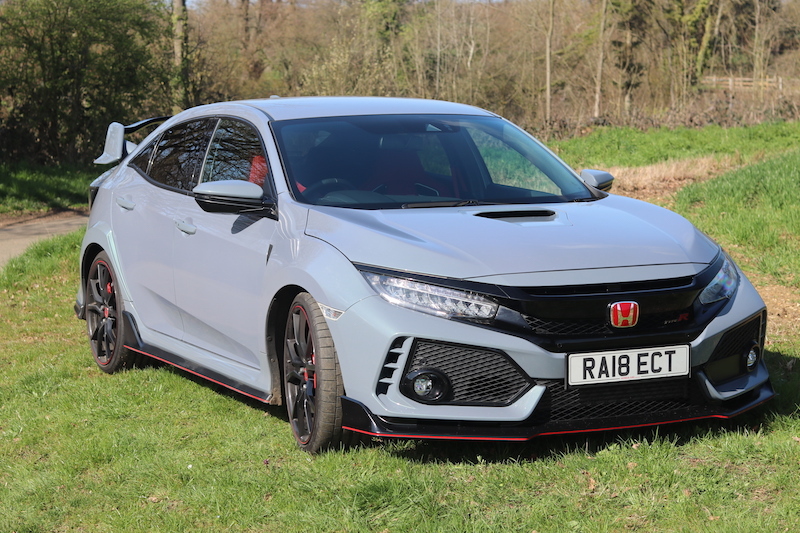 So there we have it, the FK8 Honda Civic Type R, proof that you don’t need a fancy all wheel drive system to produce a corner busting hot hatchback. 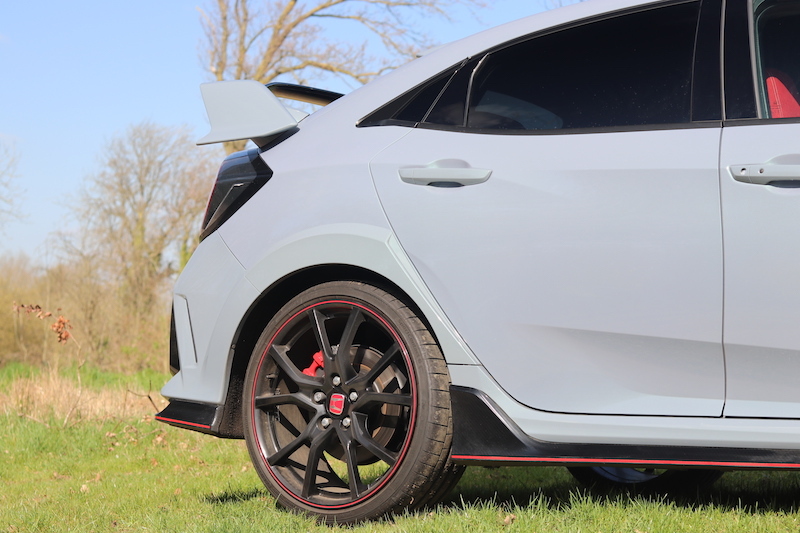 Yes, I know, the exterior styling looks like it belongs in a padded cell, but if you can look past that, I really do believe you’ll have the best hot hatch money can buy right now. Honda, can I keep it? Pleaaaaaaaassseeee. Alright, worth a try I suppose. 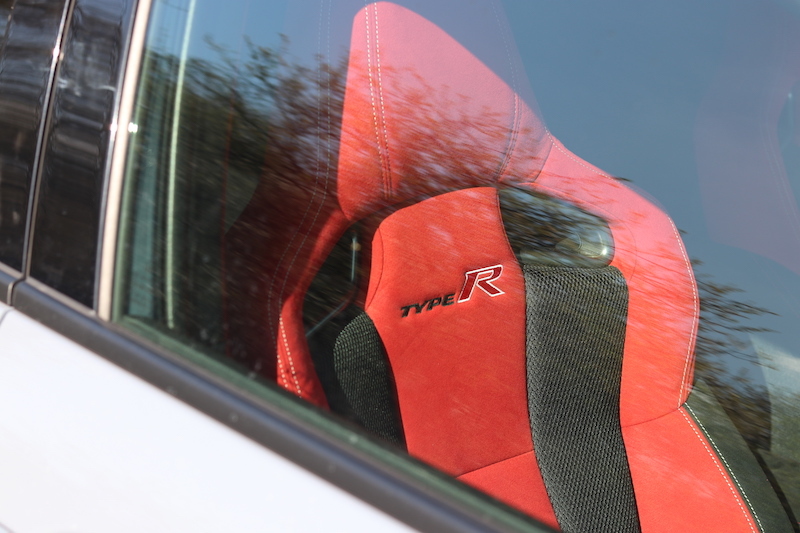 The Golf R is indeed a fast car, but the approach is very different to the Civic Type R. It’s much more subtle (although that’s not difficult) and it’s more of a sleeper. 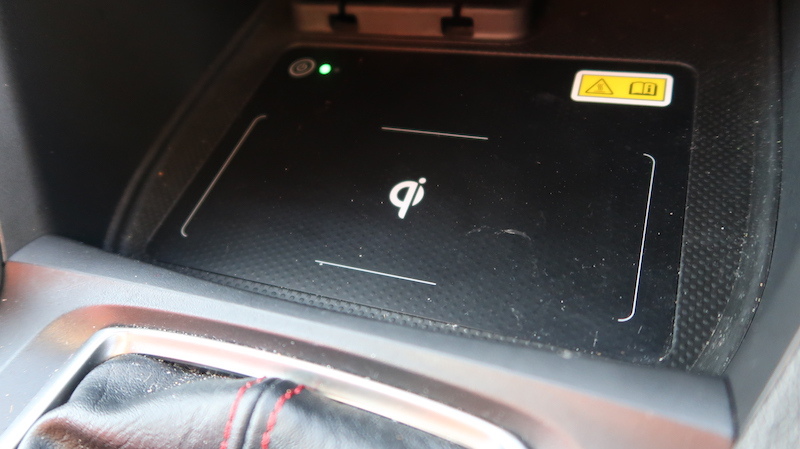 It also has drive going to all four wheels and a DSG gearbox, so this will be a car that’s easier to live with. 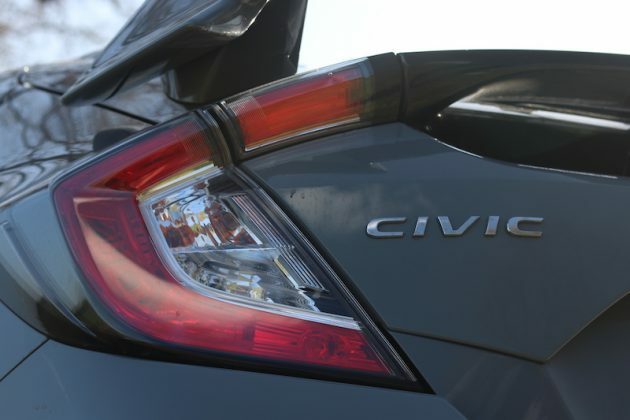 It may be a faster car to 62mph, but I can almost guarantee you’ll have more fun in the Civic. 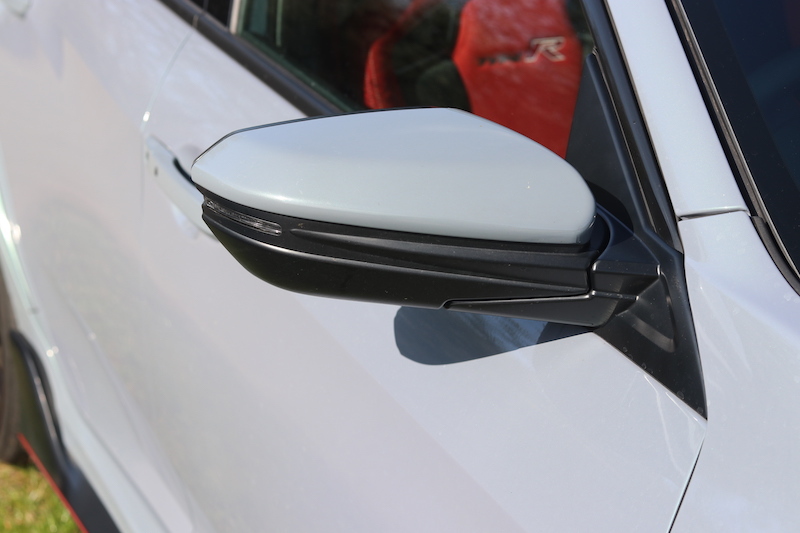 Yes, I know, you can’t buy the Mk3 Focus RS anyway, but I feel it’s still worth slotting in to this section. 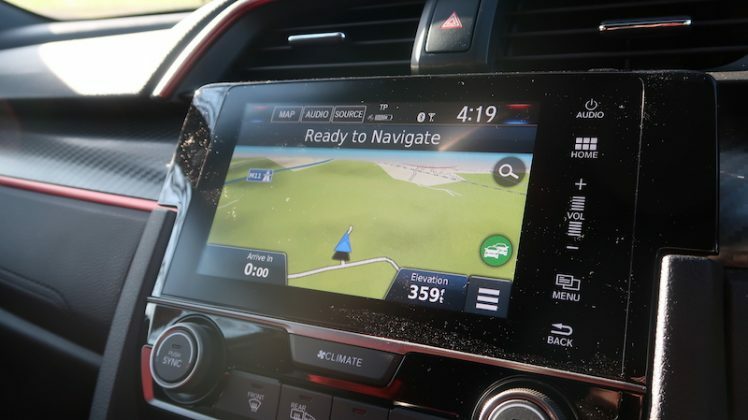 Like the Golf R, it’s fitted with an all wheel drive system, but thankfully there’s a manual gearbox instead of an auto for better driver involvement. The Focus RS is a great car, one of the best this generation has seen, but it doesn’t offer the same breadth of ability that the Civic can. 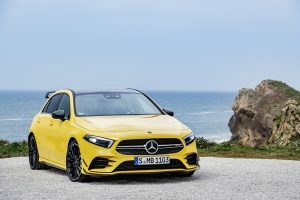 The A35 AMG is a new entry to the hot hatch world, and essentially it’s a de-tuned version of the forthcoming A45 AMG. 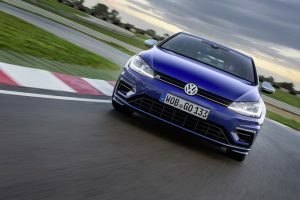 However, it’s not just here to make up the number as it still offers an efficient German punch, although like the Golf R, it’s approach is more about refinement than out-and-out hooliganism, which will be great for some, but not so great for others.